A disease due to the deficiency of vitamin C (ascorbic acid), also known as scurvy. 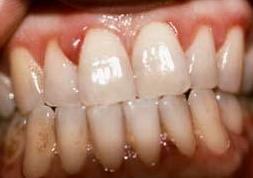 Symptoms and indications: Dry and splitting hair; gingivitis (inflammation of the gums) and bleeding gums; rough, dry, scaly skin; decreased wound-healing rate, easy bruising; nosebleeds; weakened enamel of the teeth; swollen and painful joints; anemia; decreased ability to ward off infection; and, possibly, weight gain because of slowed metabolic rate and energy expenditure. Causes and risk factors: Inadequate diet, alcoholism. Prevention: The body does not manufacture vitamin C on its own, nor does it store it. It is therefore important to include plenty of vitamin C-containing foods in your daily diet. All fruits and vegetables contain some amount of vitamin C. Foods that tend to be the highest sources of vitamin C include green peppers, citrus fruits and juices, strawberries, tomatoes, broccoli, turnip greens and other leafy greens, sweet and white potatoes, and cantaloupe. Other excellent sources include papaya, mango, watermelon, brussels sprouts, cauliflower, cabbage, winter squash, red peppers, raspberries, blueberries, cranberries, and pineapples. Avoid carbonated drinks, alcohol, caffeine and high intake of salt.